The Rising Talent IF Award recognises and celebrates new talent in the Australian Film Industry, this is the second year that the award is open to the public entries! The impressive list of previous winners of the award includes writer/director Matt Saville, actor/writer/director Anthony Hayes and producer Kath Shelper. Entries for the 2008 EFilm IF Award for Rising Talent closes on Friday 25th July 2008. The exceptional panel for the Rising Talent Award include Inside Film journalist Zona Marie Tan; Chopper Producer Michelle Bennett; Dominic Case from Atlab; last years nominee and Producer of Words From the City Pip Campey; and 2007 IF Award for Rising Talent nominee, and the nominee for 2 AFI’s Director of Dugong Erin White. The Independent Spirit IF Award recognises an individual or small creative team who, despite limited resources or challenging circumstances, have demonstrated the creativity, tenacity and independence of vision required to make a compelling project of any length or genre. This award is also open to applications from new media producers. Past winners of The Independent Spirit IF Award include Julian Shaw (Darling! The Peter Dirk-Uys Story), Melanie Hogan and Bob Randall (Kanyini), Wayne Coles-Janess (In the Shadow of the Palms) and 2006 Australian of the Year Khoa Do (The Finished People). The submission deadline for the Independent Spirit IF Award is Monday 28th July. IF is also excited to announce this years panel for Independent Spirit which includes last years Indy Spirit winner Julian Shaw; Senior Journalist for Inside Film Magazine Simon de Bruyn; Film Producer Melissa Beauford; and Australian Correspondent for Screen International Sandy George. The Inside Film Awards will welcome the nominees for this award to Queensland. The winner will be announced during the glittering awards ceremony in front of a live audience of over 1,000 film industry professionals and broadcast on SBS TV and SHOWTIME. The Inside Film Awards will celebrate its 10th year on November 13, 2008 at the Crowne Plaza Royal Pines Resort on the Gold Coast in Queensland. 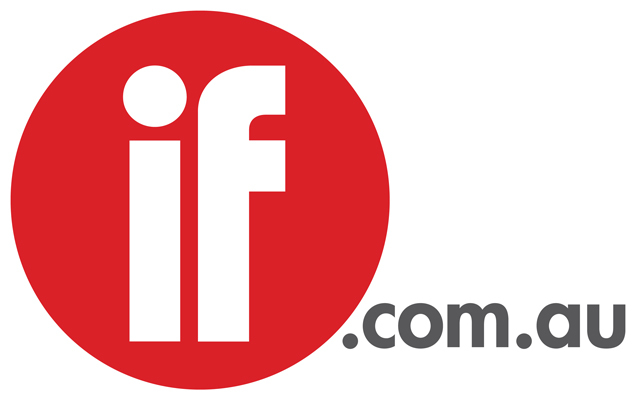 One month to go for IF Awards voting!